What Are Seller and Buyer Prorations? Many purchase contracts used in real estate contain provisions for prorations between sellers and buyers. Before signing a purchase contract, you should read it to find out how prorations are handled, because you might want to propose a change in the verbiage about prorations. In most cases, but not all, buyers are charged for prorations. Charges show up as a debit on the buyer's closing statement and as a credit on the seller's closing statement. The credits increase the seller's net profits and reimburse the seller for items the seller has prepaid for the time period the seller will not own the property. Unlike rent, which is paid in advance, mortgage interest is paid in arrears. When you pay a mortgage payment on January 1, for example, it pays the interest for December. On a new mortgage loan, lenders want to collect interest up to 30 days before the first mortgage payment is due. This means if you close on, say, November 15, your first mortgage payment will be due January 1. The January 1 mortgage payment will pay the interest for December. Loan Amount x Interest Rate = Annual Interest. Annual Interest divided by 12 Months = Monthly Interest. Monthly Interest divided by 30 Days = Daily Interest. Daily Interest x 15 Days (to pay the interest to Dec. 1) = Interest Debit Proration. The same principle applies to sellers who must pay interest in conjunction with a loan payoff, pursuant to the lender's beneficiary demand. Every state bases its property tax calendar year differently. In California, for example, the calendar year is from July 1 to June 30th. First, find out how your county collects taxes. Some states collect property taxes in advance, some collect in arrears, and some collections depend on the time of year. Taxes are most often paid in two installments. The next thing is to figure out if the period during which you are closing involves prepaid taxes. If the taxes are prepaid, and you are the seller, you will receive a credit. If the taxes are prepaid, and you are the buyer, you will be charged. The opposite is true if taxes are not yet due and payable -- sellers will receive a debit proration and buyers a credit proration. In some situations, even if the taxes are not yet due and payable, if your closing date is near the date the taxes will be due, your closer will pay the taxes from the seller's proceeds, credit the unused portion to the seller and charge the buyer accordingly. Some calculating buyers will ask for no tax prorations in the purchase contract if it is apparent that the buyer will be expected to reimburse the seller for a portion of prepaid taxes. If you are a seller in this situation, and you do not understand the significance of "no prorations," you will pay taxes for a period that you did not occupy the property. Since most homeowner associations collect monthly dues upfront (some HOAs bill quarterly or annually), if a seller has not yet paid the dues, the dues will be paid from the seller's proceeds. The seller will receive a credit for the unused portion of dues. For example, if the dues are $300 a month, the daily proration is $10. When a transaction closes on the 10th of the month, the seller will be charged 10 days of HOA dues or $100. The buyer will pay $200 for 20 days of HOA dues. Rent is generally paid in advance. Buyers who purchase an investment property expect to receive a credit for that portion of the rent which covers the time period the buyer will own the property. A sale that closes on November 15, involving a tenant-occupied property that rents for $1,000 a month, would result in the buyer receiving credit for 15 days of prepaid rent or $500. The seller would receive a debit of $500. Security deposits held by the seller are also transferred to the buyer as a credit to the buyer and a debit to the seller. Insurance premiums are paid in advance. Buyers typically take out a new hazard/fire insurance policy when buying a home. However, if the buyer is assuming the seller's existing loan or buying on a land contract, a buyer might ask the seller to transfer the existing insurance policy. Fire insurance policies are transferred with or without consideration. With consideration means the seller will be reimbursed for that period the seller will not own the property. Without consideration means there will be no prorations. Most buyers obtain a new policy. It is not often that utilities are prorated at closing, but prorations do apply to certain municipalities. In Sacramento County, for example, if a seller doesn't pay the county or city utilities (water, sewer, garbage), then the utilities roll over to the tax assessments. Utilities are then deducted from the tax bill for prorations, and the buyer is credited against future tax bills. 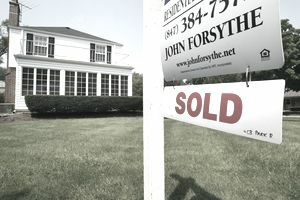 You will see this situation happen in short sales and foreclosures because, if the seller isn't making the mortgage payments, the seller is probably not paying the utility bills, either.